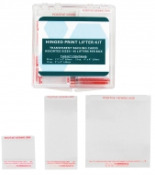 Latent Print Collection, Lifting Tapes, Gel Lifters, Etc. These lifters are specifically designed for lifting fingerprints from paper, cardboard boxes, or even wallpaper without destroying the surface. 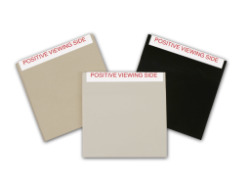 The low-adhesive gelatin on the rubber backing “card” allows the collection of developed prints from rough, grained or irregular surfaces, as well. 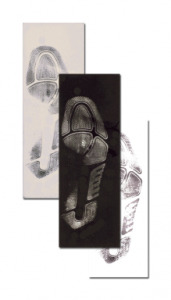 Our series of Rubber/Gelatin print lifters are available in 3 different sizes with white, black, or transparent adhesive rubber backing cards and crystal clear mylar cover sheets. 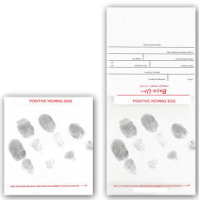 To lift a print, peel back the clear mylar cover, press the gelatin surface of the rubber backing card on the developed print, lift the print, and then replace the mylar cover. 2"x2" Rubber/Gelatin Hinged Latent Print Lifters - Black - 12/pkg. 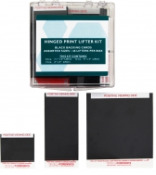 Rubber/Gelatin Hinged Latent Print Lifters - Black - 12/pkg. 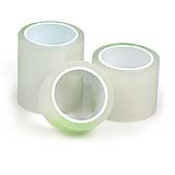 2"x2" Rubber/Gelatin Hinged Latent Print Lifters - Transparent - 12/pkg. 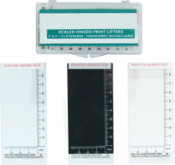 Rubber/Gelatin Hinged Latent Print Lifters - Transparent - 12/pkg. 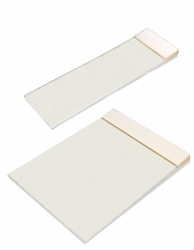 2"x2" Rubber/Gelatin Hinged Latent Print Lifters - White - 12/pkg. 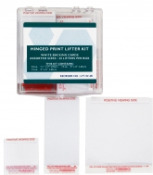 Rubber/Gelatin Hinged Latent Print Lifters - White - 12/pkg. 2"x4" Rubber/Gelatin Hinged Latent Print Lifters - Black - 12/pkg. 2"x4" Rubber/Gelatin Hinged Latent Print Lifters - Transparent - 12/pkg. 2"x4" Rubber/Gelatin Hinged Latent Print Lifters - White - 12/pkg. 4"x4" Rubber/Gelatin Hinged Latent Print Lifters - Black - 12/pkg. 4"x4" Rubber/Gelatin Hinged Latent Print Lifters - Transparent - 12/pkg. 4"x4" Rubber/Gelatin Hinged Latent Print Lifters - White - 12/pkg. © Division of The Hitt Companies, Inc.